Please join the filmmakers of “UNBELIEVABLE!!!! !” Executive Producer/Producer ANGELIQUE FAWCETTE (who also stars in the film), and Executive Producer/Writer/Director STEVEN L. FAWCETTE, Executive Producer PAUL LISAK, and special guest, rapper BONECRUSHER ! “UNBELIEVABLE!!!! 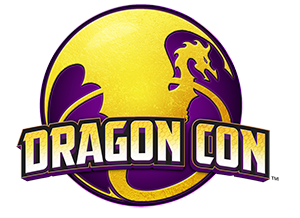 !” THE MOVIE’S FREE screenings for DragonCon attendees! These screenings are a great opportunity for fans of Sci-Fi, Star Trek, and Team America World Police to see their favorite stars in a slapstick sci-fi adventure comedy! “UNBELIEVABLE!!!! !”, the Sci-Fi Parody Adventure, has a historic ensemble cast a historic 42 former “Star Trek” stars, along with additional cast members Michael Madsen and Gilbert Gottfried. Plus, Emmy-Award winning, Oscar Nominated Composer Gerald Fried composed the music score. He is the only surviving Composer of original “Star Trek”. 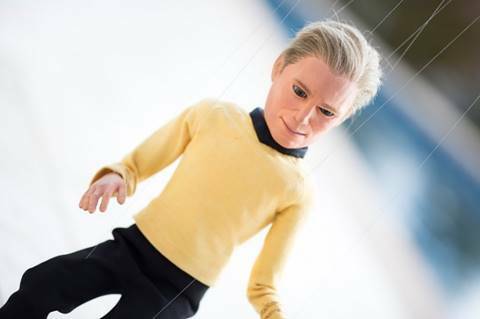 The star of the film, Kirk Stillwood, a puppet created by the Chiodo Brothers, who created all the “Team America: World Police” puppets, was scheduled to be in attendance, but cannot make it due to a bad case of termites. Kirk Stillwood is voiced by Kevin Carlson. ‘Unbelievable!!!! !” stars 40 actors who starred or guest-starred on one of the five “Star Trek” TV series, including Chase Masterson, Garrett Wang, Tim Russ, Nichelle Nichols, Robert Picardo, Marina Sirtis, Michael Dorn, Nana Visitor, Walter Koenig, Linda Park, Connor Trinneer, Manu Intiraymi, Dina Meyer, Olivia d’Abo, Julie Warner, Armin Shimerman, Jeffrey Combs, John Billingsley, Dominic Keating, Max Grodenchik, Casey Biggs, Brenda Bakke, Patti Yasutake, McKenzie Westmore, Anthony Montgomery, Vaughn Armstrong, Gary Graham, Steve Rankin, Michael Dante, Jack Donner, Michael Forest, Sean Kenney, Gary Lockwood, BarBara Luna, Beverly Washburn, Celeste Yarnall, Bobby Clark, Jasmine Anthony, Crystal Allen, Menina Fortunato, and introducing Katarina Van Derham, Producer/Actress Angelique Fawcette, and Singer/Songwriter Emily L. Stanton. The film features a score and music by TOS Trek composer Gerald Fried and musicians Tommy Morgan and Ross Garren. THESE SCREENINGS ARE FREE AND FOR THE FANS WHO ARE ATTENDING DRAGON CON AS THIS FILM WAS MADE FOR YOU, THE FANS! LET’S HAVE FUN! !